I wanted to post this for a friend who is holding a fundraiser for a man who was injured on July 4th. 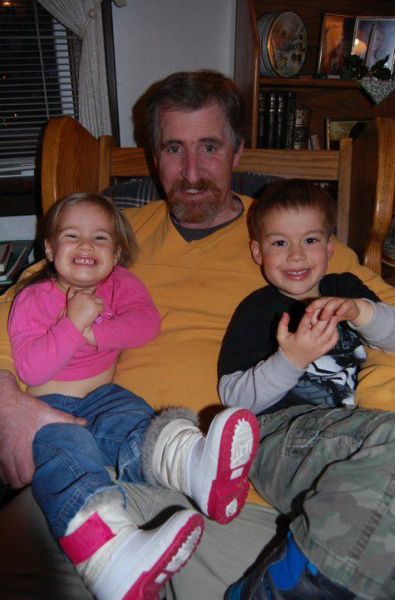 He was walking across the street with his wife and grandchildren and was hit by a vehicle. Here is the original post from Facebook. I will be organizing a fundraiser for Kim Buttram (who was injured badly late on July 4th after being struck by a car while walking across a four-lane road) and family through Pampered Chef. Many of you have heard of their situation and know of their needs, if not please go to the link http://www.facebook.com/groups/384437161622412/ to learn more about what's going on. 2. Help sell tickets...to family, friends, coworkers, etc. Can we get 10 people to commit to selling 50 or 20 people to sell 25? Message me to purchase tickets or to get set up to sale tickets! All proceeds will go to a fund set up through Providence Bible Church to meet the financial needs of the family. If you would like to participate in this please message Angela Dove Young on Facebook for more information. This would be a true blessing to the family as they have so much to deal with right now. Financially we can help ease their burden. And please do not hesitate to pray for him. As we know prayer works miracles. Also if you would like to know more about Kim through a friends point of view please read this blog post here. It goes into great detail about the man that he is.